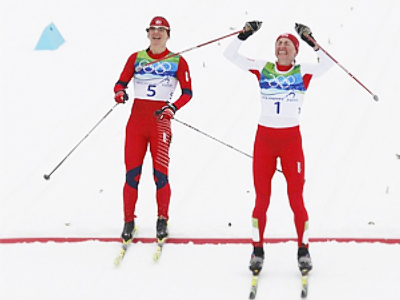 Cross-country skier Justyna Kovalczyk has won Poland’s first Olympic gold, finishing first in the women’s 30 kilometer mass start classic and denying Norway’s Marit Bjorgen her 4th Vancouver gold. Kovalczyk and Bjorgen managed to escape the peloton at the end of a 90 minute race, to see the fate of the marathon decided in the final meters of the distance. The Polish athlete, who had No. 1 on her uniform, was in the lead and, despite being considered a weaker finisher than her rival, was able to cross the finish line in first place. 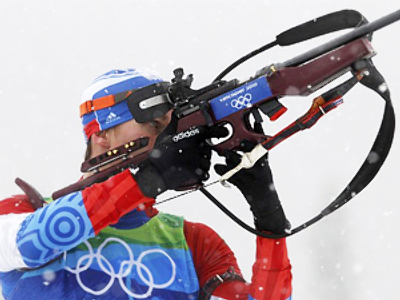 Justyna Kovalczyk’s result was 1:38.33.7 minutes, with silver medalist Bjorgen 0.3 of a second behind. 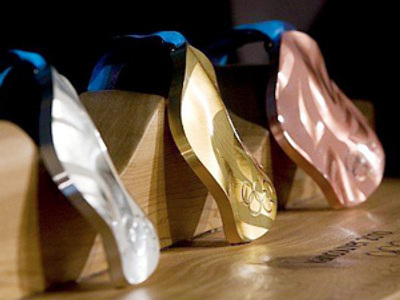 The 27-year-old has collected a full set of medals at these Games, also winning a silver in individual sprint and bronze in 15 kilometer pursuit. 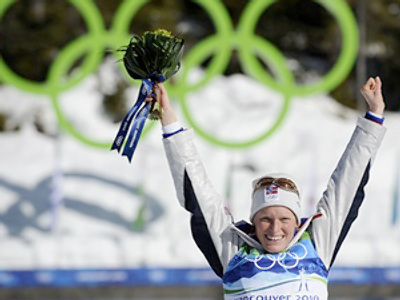 Third placed Aino-Kaisa Saarinen completed her 30 kilometers at Whistler Olympic Park more than a minute after the leaders. The trio of Russian namesakes – Olga Zavialova, Olga Rotcheva and Olga Schuchkina – finished outside the Top 20. The best among them, veteran Zavialova, was 23rd, 4 minutes and 12 seconds away from the champion. The Canadian speed skating squad of Mathieu Iroux, Lucas Makowsky and Denny Morrison have triumphed in the men’s team pursuit in Vancouver, beating the US in the final. Also, the Netherlands took the better of Norway in the battle for third place, setting an Olympic record of 3:39.95 seconds. Germany has won the women’s speed skating team pursuit race. They were 0.02 of a second faster than Japan in the decisive race. The bronze went to the Polish national team, who outpaced their American rivals. Home favorite and reigning world champ Jasey Jay Anderson has won Canada’s second gold of the night, much to the delight of snowboarding fans at Cypress Mountain. Anderson beat Austria’s Benjamin Karl in the big final of the men's parallel giant slalom. And Russian underdog Stanislav Detkov, whom nobody expected to see in the final, finished just a step away from an Olympic medal. A fall in the second run of the small final saw him lose the bronze to 36-year-old French veteran Mathieu Bozzetto. 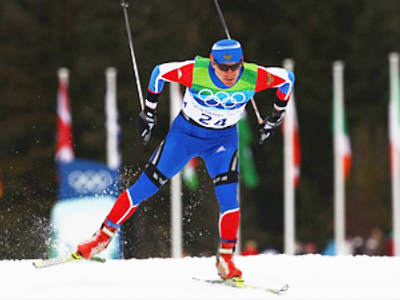 Italy’s Giuliano Razzoli has won the last Olympic medal for alpine skiers in Vancouver 2010, coming in first in men’s slalom. Having a significant lead after the first run, the 25-year-old came in only 7th in his second attempt, but still beat Croat Ivica Kostelic by 0.16 of a second. The third man to step on the podium was Andre Myhrer of Sweden. 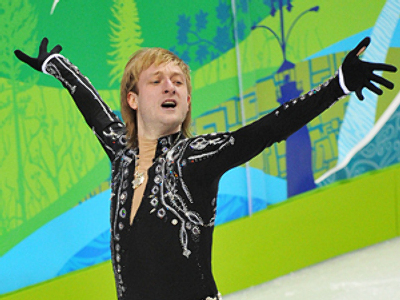 The only Russian managing to complete his run on the night was Alexander Khoroshilov, who finished in 23rd place. It should be noted that only 49 out of 102 competing athletes managed to reach the finish line due to bad weather conditions at Whistler Creekside. Even the best time in Heat 4 of the four-man bobsleigh tournament wasn’t good enough for five-time Olympic champ Andre Lange to win. The German legend managed to surpass Canada’s Lyndon Rush, but was still 0.01 of a second behind winners US Steven Holcomb and his men. 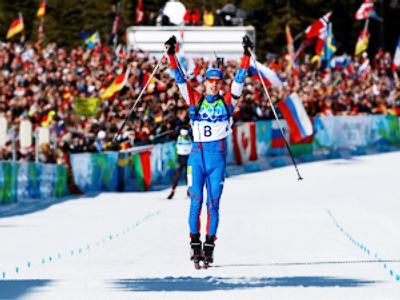 The Russian quartets of Evgeny Popov and Dmitry Abramovich finished the night 8th and 9th respectively. However, Russia’s top squad, led by Alexander Zubkov, decided to withdraw from the event after a crash in yesterday’s Heat 1. Canada also triumphed in the men’s curling final on the night, grabbing their 13th Vancouver gold. The host nation maintained their unbeaten record till the very last game of the Olympic tournament, getting the better of Norway 6-3. In the minor final, Switzerland defeated Sweden with a minimal advantage, 5-4, to win the bronze medal. The fate of the hockey bronze was also decided on the night, with Finland having the edge over one of the tournaments biggest surprises, Slovakia. The sides were level at 3-3 in the middle of the third period when a power play goal from Olli Jokinen gave the Finns the lead. All Slovakian efforts to save the game failed, resulting into Valtter Filippula putting the puck into an empty net to settle the final scoreline at 5-3. The hockey final between archrivals Canada and the US is scheduled for Sunday, the last day of the 2010 Vancouver Winter Games.